Goldie Khristi'S Tik Tok Track | The unOFFICIAL Track Of TikTok | Music By Goldie Khristi Music Video out Soon... Audio Link : #TikTok #TikTokIndia #GoldieKhristi Follow The Artist : Instagram.com/@goldie_khristi TikTok/@goldie_khristi YouTube/@GoldieKhristiOfficial Don't Forget to Subscribe ☺. Gujarati Machayenge ( DJ Adee / RJ Roshan ) - ReMix By Goldie Khristi. #Gujarati #Machayenge #GoldieKhristi Gujarati Song Credits : Singers : Dj Adee RJ Roshan Music : Tony James Re Programmed by : DJ Adee Gujarati Lyrics : Rj Roshan Director : Jay Bhagat DOP : Vinit Upadhyay Video Production : Shade Films Cast : DJ Adee, Rj Roshan, Neha Sen, Dhruvi Parmar Production Manager : Jay Fataniya Recorded Mixed & Mastered at : Ahmon Studio Editor : DJ Adee, Vinit Upadhyay Edited at : concept 19 Films, Saphhire Studio Di/ Color grading : Vinit Upadhyay - (Sapphire Studio) FX : Jay Bhagat Original Song Credits : Artist/Lyrics- Emiway Music- Tony James Director/dop - Sam Mohan Producer - Emiway (Social Links) Instagram - @djadeeofficial @rjroshan_radiocity Lyrics: Modi Modi Kahine rahul Banavish tu Rissoto Kahi Kahi Ne khichdi Khavdavish tu Tomorrowland Jevu Kahine bolavish tu LAgan Ma Le KAchuko Le par Nachavish tu Black Lable Nu Kahine RS Pivdavish tu Goa Nu Kahi Kahine Daman Faravish Tu Boyfriend boyfriend Kahine Kharcho Karavish Tu Nai Karu Kharcho To Bijo Patavish Tu Bau Thaya Altaf Raja NA geeto L LAgi Jaay PAchi Daru NAthi Peeto Tinder No trend Che Vaagi Jeni Band che MAre che Ae Maal Gaay Gujju Despacito tu busy on TikTok Hu karu Chu Thok Thok darvajo to Khol ne Baka ghar khali che maand chal kariye koi kaand Lets cook Daal Bhaat Ludo Ramiye Aakhi Raat Raat Raat Jordaar Jordaar Tu Patave Hatave Ferravva Rakhe Che Bau Chokra Snapchat Ne Insta Na Filter Wada pic Par Turn On Thaya Badha prem Chopda O ben O ben Hu Taro Bf NAthi Tu Backup Ma Rakhe Ae Pf Nathi Tu dus ek Ne Fervine Paachi Jo aave O kareena Hu Taro Saif NAthi. 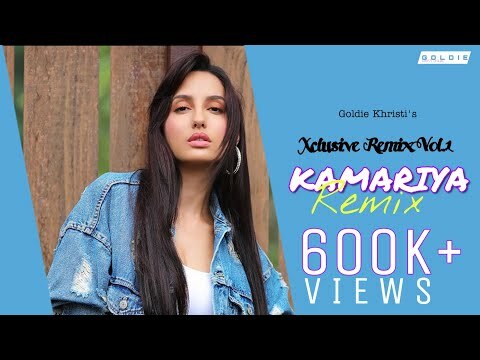 #ExtentedMix #Kamariya #Mitron Kamariya (Extented Mix) | Christmas Special | DJ Goldie Remix | Mitron | Lijo George_DJ Chetas Song Details : Name : Kamariya (Extended Mix) Remix Album : Mitron Artist : DJ Goldie Label : Goldie Khristi Released By Goldie Khristi Official Music On SME Mp3 Link : Uploading Soon #KamariyaRemix #Mitron #KamariyaReThariKamariya Lyrics : Oh haalo… Bhamariya… bhammariya… Bhamariya… bhammariya… Chama cham naach aajhe Dhama dham dhol baaje Non-stop halla machega Oye naacho saare.. Papapapa peepani pe Aaja naya step seekhe Non-stop halla machega Oye naacho saare.. Apni famous hai raat waali yaariyan Jaane saare jahaan aa… Pethal purma sunle o choriya Jhoome nagariya jab jab ye ghoome.. Kamariya re thaari kamariya Kamariya re thaari kamariya (x2) Ahaa! Shu waat che! Kadak! Ae chala ve rap pakad ne! (Ikka Singh Rap) Surat se seedha Ahmadabad aaya Khelne ke liye sang dandiya bhi laaya Tell me baby girl What is your name che Pehli nazar mein ho gaya hai tumse prem che Aaj raat ek baar haathon mein leke haath Thaam loon kamariya teri Dance karun tere saath Jisko hai naachna woh floor pe aa jaaye Jiska jo pasandeeda step karke wo dikhaye O haalo… Funky feeling hai kyun hona jazbati Jajaja..jazbaati kyun hona hai jazbati Chhore swag waale, choriya hain nakhrati Nakhrati nakhre dikhaati (x2) Haan ek bas yehi baat bole repeat pe Hum jaisa koi kahaan… Pethal purma sunle o choriya Jhoome nagariya jab jab ye ghoome.. Kamariya re thaari kamariya Kamariya re thaari kamariya Pethal purma paavo waagyo ne Mhaaro suto sunido jaagyo jawaan laal Bhamariya re laal bhamariya Bhamariya re laal bhamariya Artist Details : https://www.instagram.com/goldie_khristi https://www.facebook.com/GoldieKhristi https://hearthis.at/Goldie.khristi https://www.twitter.com/iamgold31 https://www.youtube.com/GoldieKhristiOfficial https://www.soundcloud.com/goldiekhristi Hit the Like Button and share it around, Don't Forgot to press bell icon. All Rights to Music Label Co. & No Copyright infringement intended. All Rights Reserved at SME... "©Disclaimer" : This Following Audio/Video is Strictly meant for Promotional Purpose.We Do not Wish to make any Commercial Use of this & Intended to Showcase the Creativity Of the Artist Involved. * *The original Copyright(s) is (are) Solely owned by the Companies/Original-Artist(s)/Record-label(s).All the contents are intended to Showcase the creativity of theArtist involved and is strictly done for promotional purpose. * *DISCLAIMER: As per 3rd Section of Fair use guidelines Borrowing small bits of material from an original work is more likely to be considered fair use. Copyright Disclaimer Under Section 107 of the Copyright Act 1976, allowance is made for fair use. FOR More Remixes Subscribe Me!!! 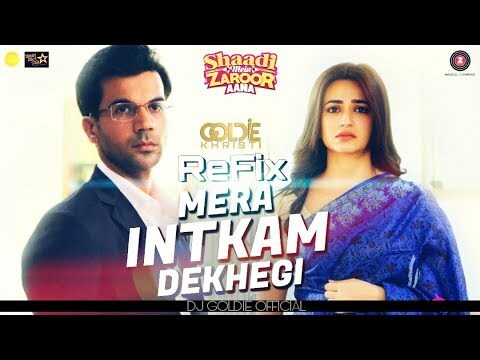 Here We Are Presenting You A Remix Version Of The Song " Mera Intekam Dekhegi " From The Movie Shaadi Mein Zaroor Aana. 💳Donate And Support : https://www.paypal.me/goldiekhristi008 Remix By DJ Goldie Music At Zee Music Company. All Rights Reserved At ZeeMusicCo. #Chogada #ChogadaTara #ChogadaRemix Chogada Tara (Remix) - DJ Goldie | Loveyatri | Dandiya Special Song | Navratri Garba Song | 2.0 Remix 💳Donate And Support : https://www.paypal.me/goldiekhristi008 Clean Acapella Download Link : https://www.mediafire.com/download/1pwqdxhsfhic9g7 Song Details : Chogada (Remix) - DJ Goldie | Loveyatri | Aayush Sharma | Warina Hussain | Darshan Raval | Lijo | DJ Chetas | 2.0 Remix Song: Chogada Tara (Remix) Album: 2.0 Remix Remix By: DJ Goldie Hit the Like Button and share it around, Don't Forgot to press bell icon. Original Credits- Song - Chogada Singer - Darshan Raval, Asees Kaur Lyrics - Darshan Raval Additional Lyrics - Shabbir Ahmed Music - Lijo George - Dj Chetas Music Supervisor - Azeem Dayani Song Mixed And Mastered By Eric Pillai@Future Sound Of Bombay Mix Assistant Engineer - Michael Edwin Pillai Music Label: T-Series All Rights to Music Label Co. & No Copyright infringement intended. 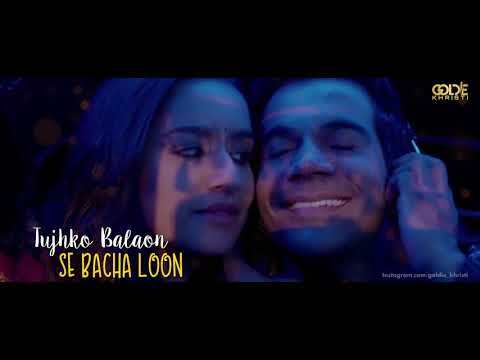 Lyrics : Ho… Ho aavi gayi raat Mann bhulo bhadi baat Prem niya mausam chhe Ab aao mere paas Reh jaao mere saath Prem niya mausam chhe (x2) Mill jaaye mujhko agar saath tera Toh bhoolun main saara jahaan Chogada tara Chabeela tara Rangeela tara Rangbheru jue tari vaat re, Haah! Chhogada tara Ore chhabila tara Ore rangeela tara Rangbheru jue tari vaat re, Haah! (x2) Chup chup ke tumhe Dekha main karun Saari saari raat Saari saari raat Chup chup ke mujhe Dekha tu kare Saari saari raat Saari saari raat Mill jaaye mujhko agar saath tera Toh bhoolun main saara jahaan… Chhogada tara Chabeela tara Rangeela tara Rangbheru jue tari vaat re, Haah! Chhogada tara Ore chhabila tara Ore rangeela tara Rangbheru jue tari vaat re, Haah! (x2) ReMix Artist Details : ✅ Contact: " djgoldiekhristi@gmail.com" Follow The Goldie Khristi : https://www.instagram.com/goldie_khristi https://www.facebook.com/GoldieKhristi https://hearthis.at/Goldie.khristi https://www.twitter.com/iamgold31 https://www.youtube.com/GoldieKhristiOfficial https://www.soundcloud.com/goldiekhristi "Permission" 🚫This song is not my private property. All credits are goes to the Original content owner - Tseries.🚫 🚫DISCLAIMER : IF ANY CONTENT OWNER HAS SOME ISSUES WITH MY VIDEO PLEASE CONTACT ME BY E MAIL OR ANY OTHER SOCIAL MEDIA AND I WILL REMOVE MY VIDEO🚫 📋 Tags: #chogadatara #chogadaremix #djgoldie #chogadatararemix #chabilatara #aayushsharma #warinahussain #salmankhan #djlijo #djchetas #darshanraval #dandiyaspecialsong #navaratrigarbasong #loveyatrisong #navrartigarba #garbasong Chogada remix, chogada tara remix, chogada dandiya mix, dandiya song, chogada loveratri, chogada tara chabila tara song, chogada remix, Navaratri dandiya song, new garba song, new dj dandiya song, chogada tara dj song, chogada tara dj remix, new song 2018, darshan raval chogada tara, dj chetas chogada tara, dj lijo chogada tara, salman khan chogada tara, chogada tara mashup, chogada tara funny viral video ------------------------------------------------------------------------- *DISCLAIMER: This Following Audio/Video is Strictly meant for Promotional Purpose.We Do not Wish to make any Commercial Use of this & Intended to Showcase the Creativity Of the Artist Involved. * *The original Copyright(s) is (are) Solely owned by the Companies/Original-Artist(s)/Record-label(s).All the contents are intended to Showcase the creativity of theArtist involved and is strictly done for promotional purpose. * *DISCLAIMER: As per 3rd Section of Fair use guidelines Borrowing small bits of material from an original work is more likely to be considered fair use. Copyright Disclaimer Under Section 107 of the Copyright Act 1976, allowance is made for fair use. 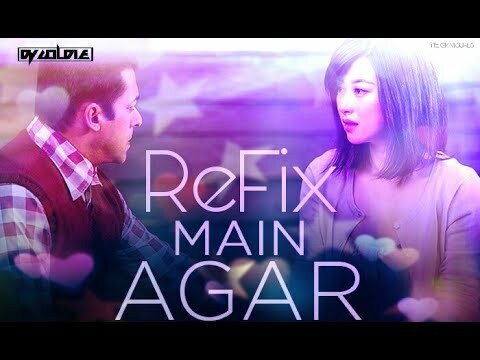 Main Agar From The Movie Tubelight Main Agar - ReFix Tubelight Sony music India DJ GOLDIE We don't have any type of Rights for this Video/Audio .We are just Promoting the Re-create version of the Song and we don't have make any type of money from the video. #ApnaTimeAayega #Gullyboy #Remix Here I'm Presenting You A 2.0Remix Of the Song "ApnaTimeAayega" From The Movie GullyBoy. Track Details : Name : Apna Time Aayega 2.0(Remix) ReMix : Goldie Khristi Movie : Gully Boy Year : 2019 Label : ZeeMusicCompany Artist Details : https://www.instagram.com/goldie_khristi https://www.facebook.com/GoldieKhristi https://hearthis.at/Goldie.khristi https://www.twitter.com/iamgold31 https://www.youtube.com/GoldieKhristi... https://www.soundcloud.com/goldiekhristi -------- Hit the Like Button and share it around, Don't Forgot to press bell icon. All Rights to Music Label Co. & No Copyright infringement intended. ------- Like | Share | Subscribe ☺ Mp3 Link : Out Soon. 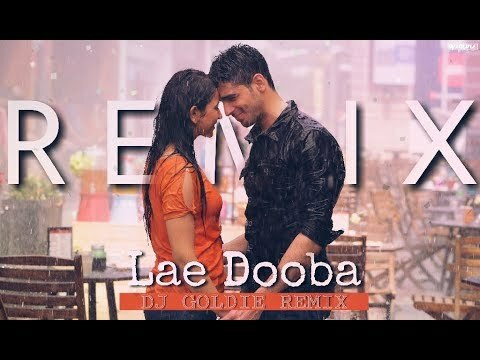 #Lamberghini #Remix #LamberghiniRemix MP3 Link : out soon Watch Out Lamberghini (Remix) | DJ Goldie Lamberghini (Remix) | DJ Goldie | The Doorbeen | Ragini | Punjabi Song 2018 | 2.0 Song: Lamberghini (Remix) Remix Album: 2.0 Remix By: DJ Goldie Release By: GoldieKhristiOfficial Hit the Like Button and share it around, Don't Forgot to press bell icon. Credits- Song - Lamberghini Artist - The Doorbeen Feat Ragini Starring - Harshdaa Compose / Music - The Doorbeen Lyrics - The Doorbeen Director - Ankush Kathuria Executive Producer - Mansi Srivastava Assistant Director - Akanksha Narang & Pankaj Saraswat DOP - Arindam Bhattacharjee Editor - Ankush Kathuria DI - Jaspreet Rajan Line Producer - Domnic Pereira Line Assistant - Ganesh & Rayeez Make-up Artist - Sonam R. Kargaonkar Produced by - Satinder Kaur Artist managed by – Amol Bhayana (Katalyst Entertainment) Production House - Water Productions Location Courtesy - Planet Hollywood, Goa Special Thanks - Yuvnish Gupta Label - Speed Records All Rights to Music Label Co. & No Copyright infringement intended. Enjoy and Stay Connected With Us!! 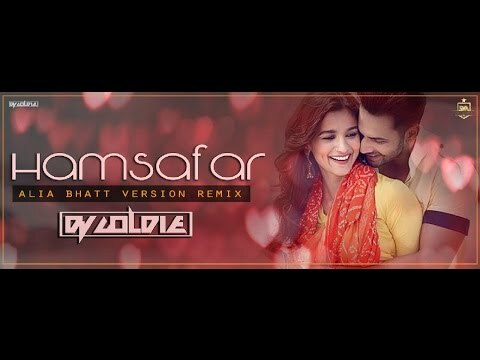 📋 Tags: #lamberghini #lamberghiniremix #djgoldie #doorbeen #ragini #lamberghinichaalayijaaneo #punjabispng #punjabisongremix #latestpunjbaisong2018 #remix #djsongs #mashup Lyrics : Lamberghini chaalayi jaane o Saannu vi chuta deado Kithe kalle-kalle jaayi jaane o Modern town nachh maare gedi Modern town nachh maare gedi Saannu vi chuta deado Kithe kalle-kalle jaayi jaane o Ishq da esa paya jaal soniye… Dil mera kad k le gayi naal soniye… Tere picche lagge hoya saal soniye… Maan-ja maan-ja yu na sataa Kare gaira naal jade kalla Mukh da eh dil mera challa Kinna tadpaave soniye… Kinna tadpaave tu Fir mitthi-mitthi galla kari jate Kendi gaddi vch gedi alphate Hun duro takke jatu soniye… Lamberghini chaalayi jaane o Saannu vi chuta deado Kithe kalle-kalle jaayi jaane o Saannu vi chuta deado Kithe kalle-kalle jaayi jaane o Modern town nachh maare gedi Modern town nachh maare gedi Saannu vi chuta deado Kithe kalle-kalle jaayi jaane o [Kithe kalle-kalle] Jaan he kad te jande ya tera tikhe-tikhe nain ni Jaan he kad te jande ya tera tikhe-tikhe nain ni Bach-bacha k rehn eyaa tikhe-tikhe naina to Bach-bacha k rehn eyaa enna tikhe-tikhe naina to Lamberghini chaalayi jaane o Saannu vi chuta deado Kithe kalle-kalle jaayi jaane o [Kithe kalle-kalle] [Kithe kalle-kalle] ------------------------------------------------------------------------- *DISCLAIMER: This Following Audio/Video is Strictly meant for Promotional Purpose.We Do not Wish to make any Commercial Use of this & Intended to Showcase the Creativity Of the Artist Involved. * *The original Copyright(s) is (are) Solely owned by the Companies/Original-Artist(s)/Record-label(s).All the contents are intended to Showcase the creativity of theArtist involved and is strictly done for promotional purpose. * *DISCLAIMER: As per 3rd Section of Fair use guidelines Borrowing small bits of material from an original work is more likely to be considered fair use. Copyright Disclaimer Under Section 107 of the Copyright Act 1976, allowance is made for fair use. Juan Parcham (ReMix) From the Movie Zero By DJ Goldie. #HusnParcham #KatrinaKaif #Zero #ShahRukhKhan #Remix Song Details : ♪ Song: Husn Parcham ♪ Singer: Bhoomi Trivedi, Raja Kumari ♪ Movie: Zero ♪ Lyrics: Irshad Kamil ♪ Music: Ajay-Atul ♪ Music Label: T-Series ♪ Recorded: Vijay Dayal at YRF studios ♪ Additional Recording: Kittu Myakal at SoundIdeaz Studio ♪ Mixed & Mastered: Eric Pillai ♪ Music Composed, Arranged: Ajay-Atul ♪ Music Programmed: Ajay-Atul & Abhijit Vaghani ______ Artist Details : https://www.instagram.com/goldie_khristi https://www.facebook.com/GoldieKhristi https://hearthis.at/Goldie.khristi https://www.twitter.com/iamgold31 https://www.youtube.com/GoldieKhristiOfficial https://www.soundcloud.com/goldiekhristi Hit the Like Button and share it around, Don't Forgot to press bell icon. All Rights to Music Label Co. & No Copyright infringement intended.